Work is pushing on with the new roof finished, windows installed and internal fit-out underway. Internal partitions are flying up with first electrical and plumbing fixes in progress. 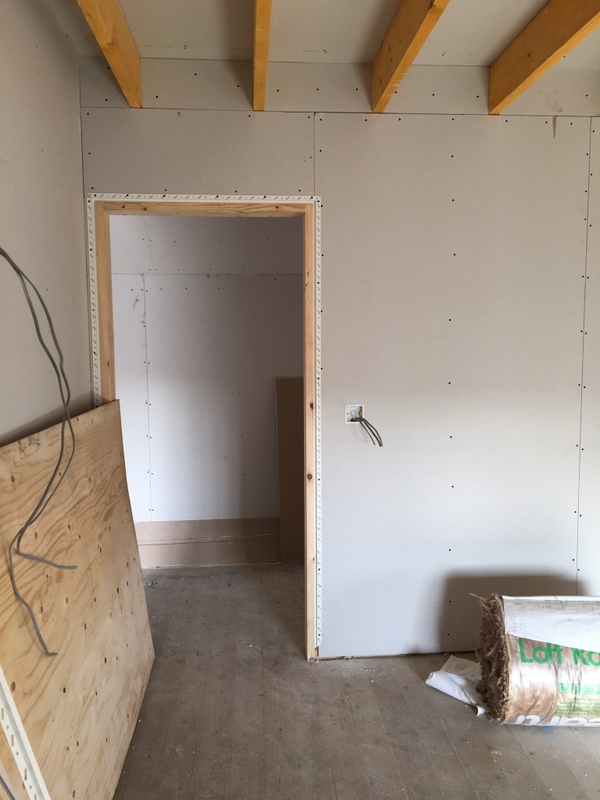 Plasterboard sheathing is also well on with plastering planned for next week and concrete floor finish due towards the end of November. 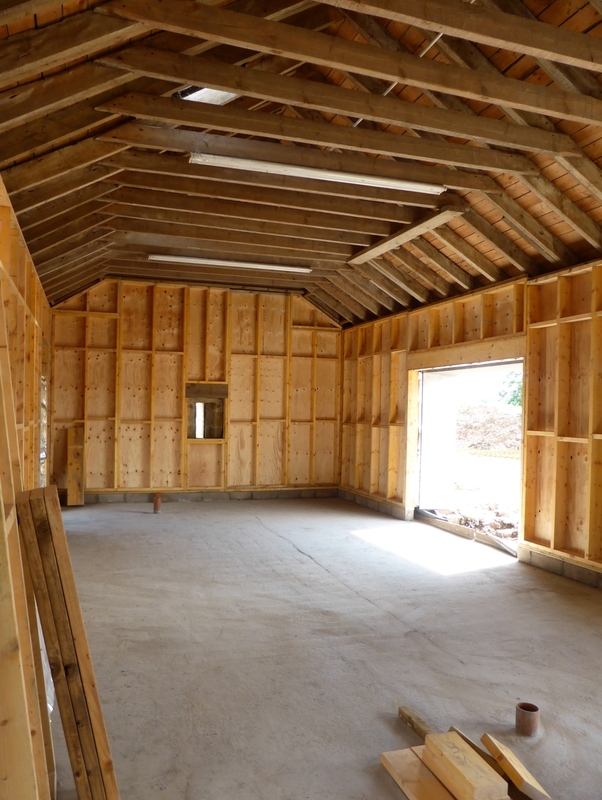 The spaces are really shaping up now showing off the amazing light coming in and and fantastic views looking out. 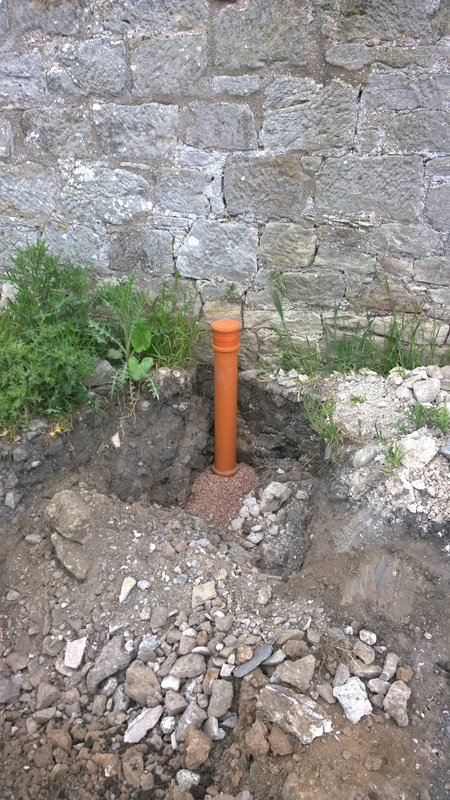 After assessment of the existing roof it became apparent that remediation would be complex and costly. A new roof structure was therefore designed and erected. 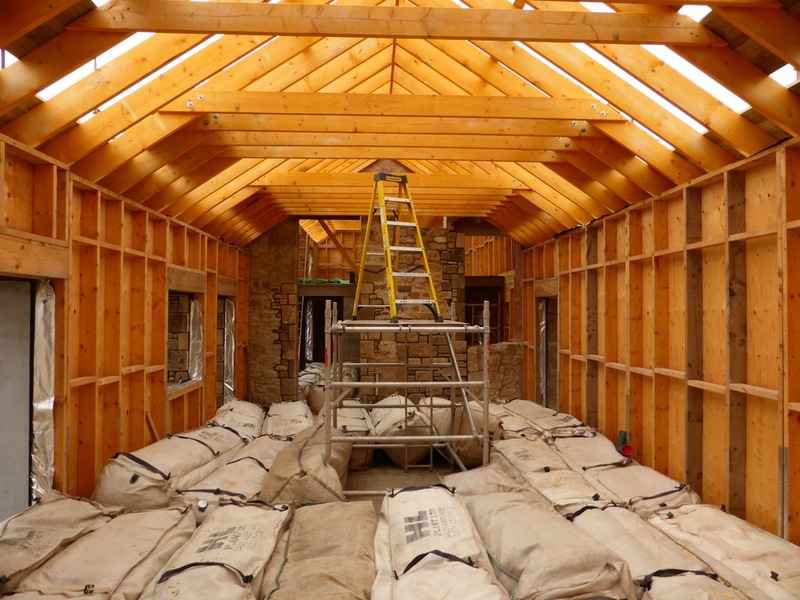 Crash mats were in place for the builders whilst the new trusses were fitted. 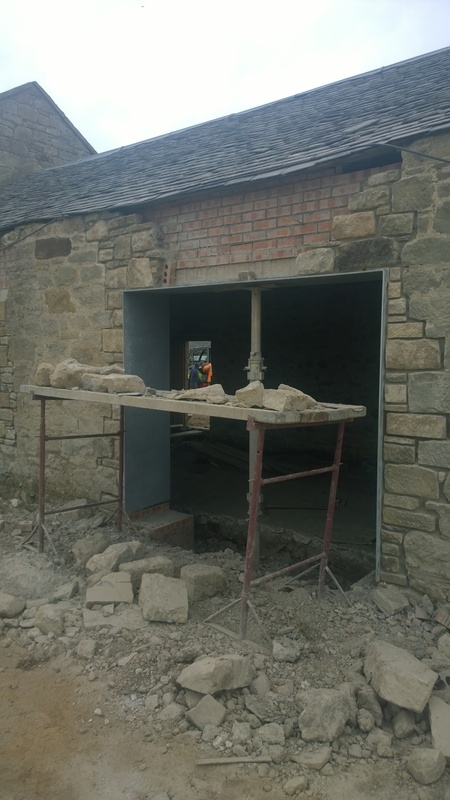 Sarking was installed thereafter with lead work and slating currently underway. 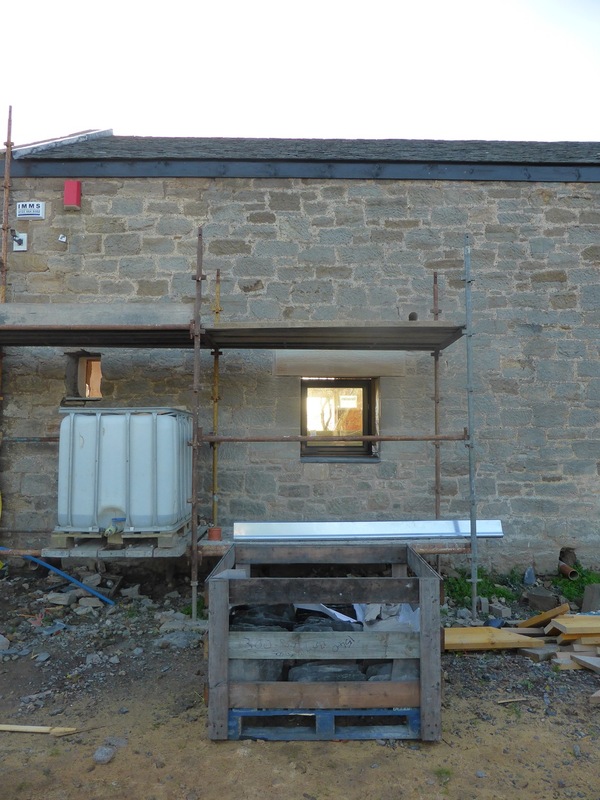 The external masonry is in the process of being finished and the ground source heat pump is being installed outside. The electrician has also started his first fix. Now the sarking has been fully stripped, the existing roof structure is being assessed for remediation. 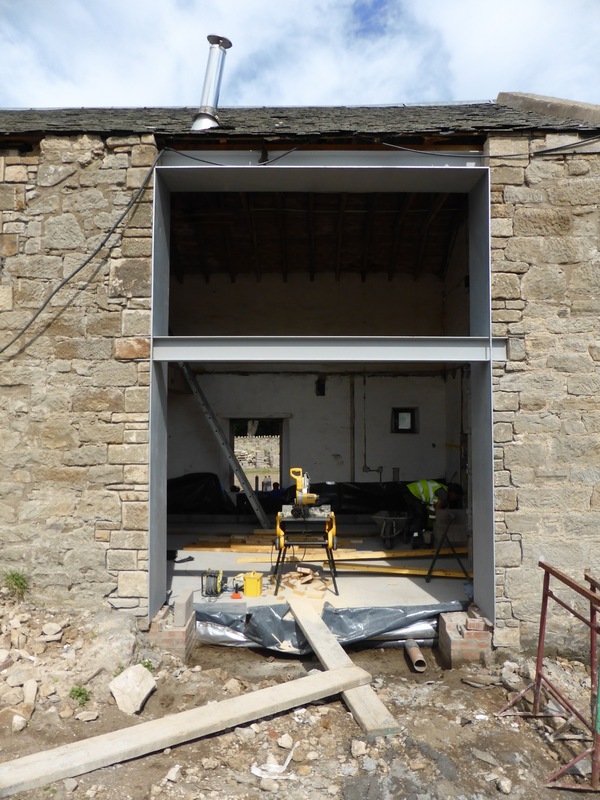 The steel beams for the mezzanine floor are in place with expressed details in the steel work shaping up nicely. 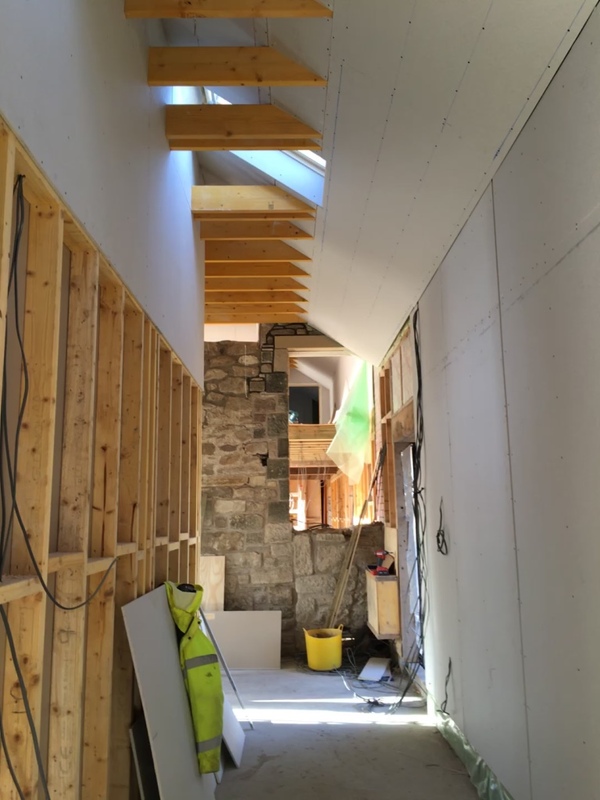 Joists to the mezzanine floor have been installed and temporarily covered in boarding offering a view into the spaces designed for the kitchen and double-height dining area. The masonry work to the central wall is almost completed and openly admits interventions imposed over time. Over the coming weeks, the focus will be on the roof. Scaffolding has been erected enabling the stripping of roof slates and sarking to be stripped exposing the existing structure beneath. 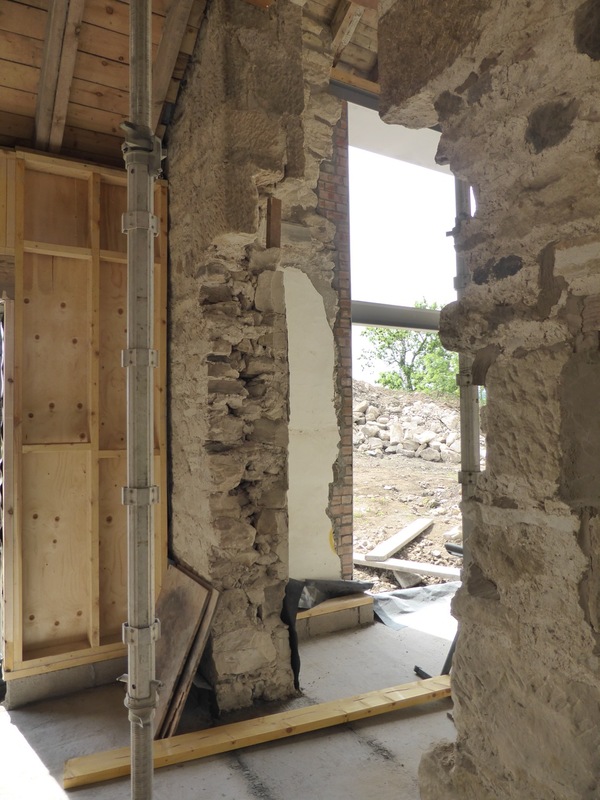 The perimeter timber frame has been finished and masonry works to the existing fabric are progressing nicely. Over the next few weeks, the mezzanine floor will be added and works will continue on the roof to strengthen and repair the existing roof structure. 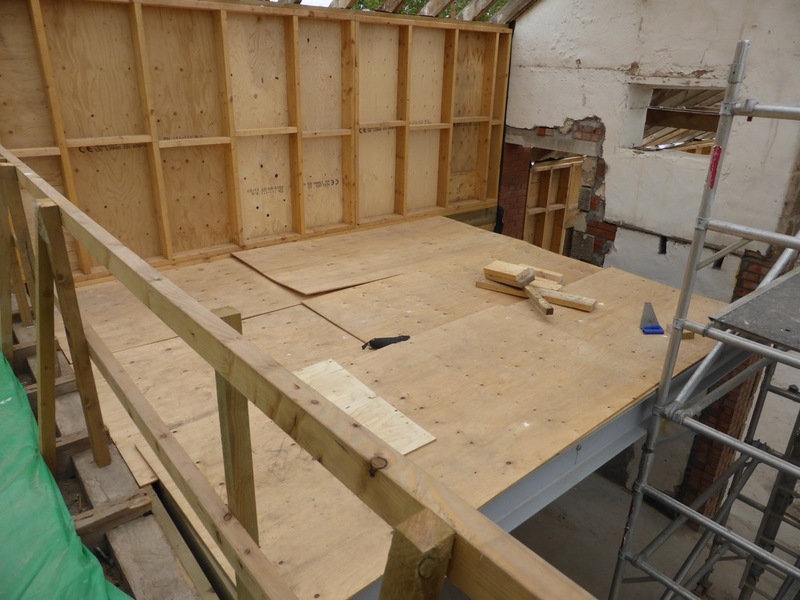 This will allow for the straightening, resarking and slating of the roof to proceed. The concrete slab has now been poured and blockwork underbuilding laid. 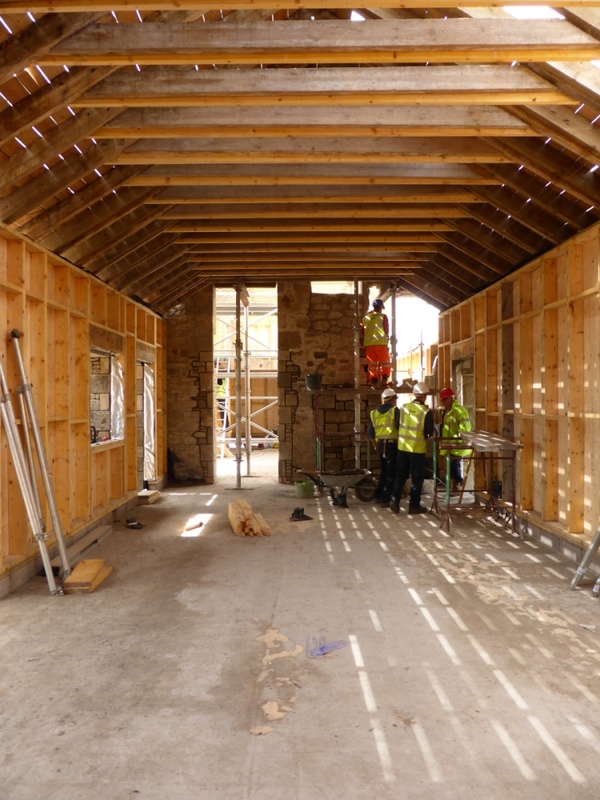 The timber frame is flying up, transforming the shell of the former granary. Over the next couple of weeks, scaffolding will be erected to allow for the stripping of roof slates and remedial work to the roof. 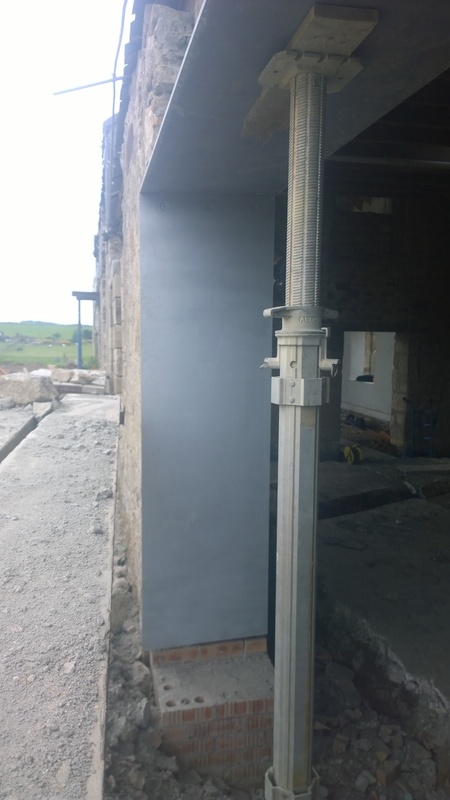 Last week has seen the gas membrane installed and all the steel boxes put in place, marking all new openings. Reinforcement has since been constructed in preparation for the pouring of the slab which is underway today. 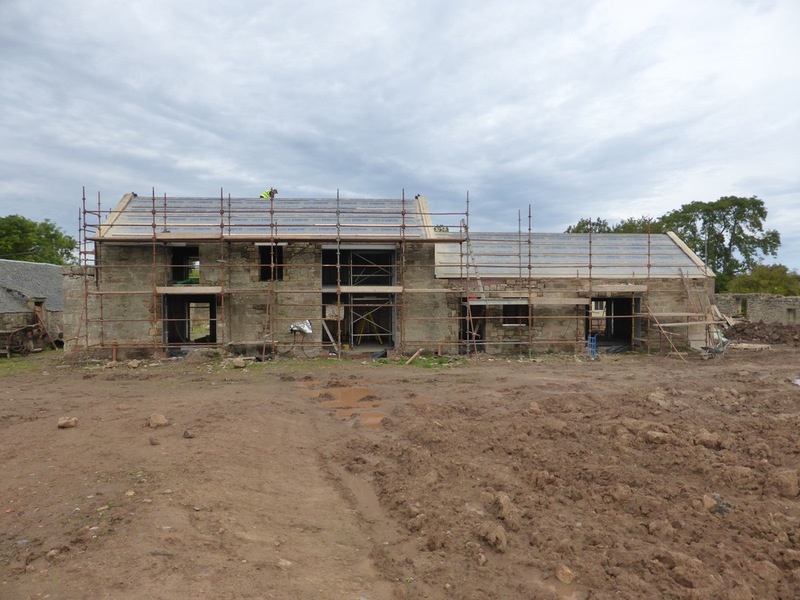 Once the slab is poured, construction of the blockwork underbuilding and timber frame will progress rapidly. All new openings have been made and light is flooding into the building. It's great to see the first steel box in place with more on their way. 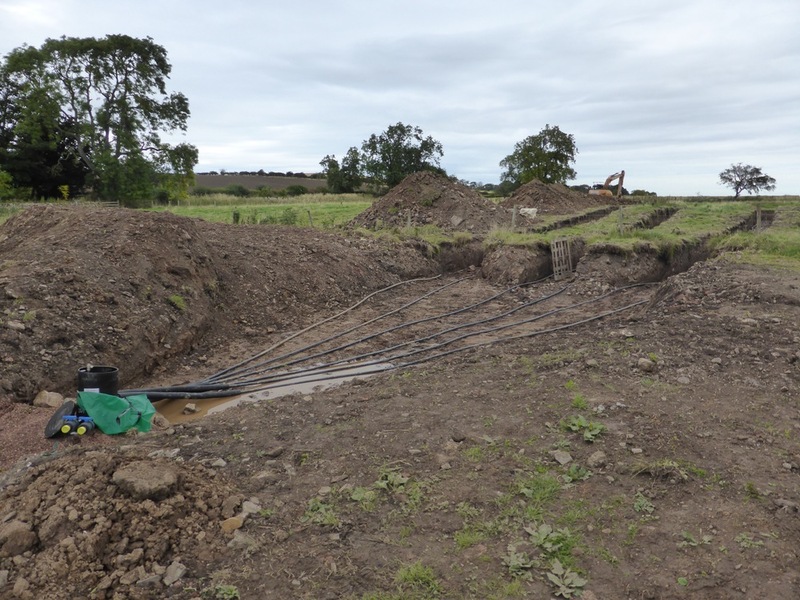 The ground has been cleared and drainage installed. With all demolition now done, stay tuned for the pouring of the slab! 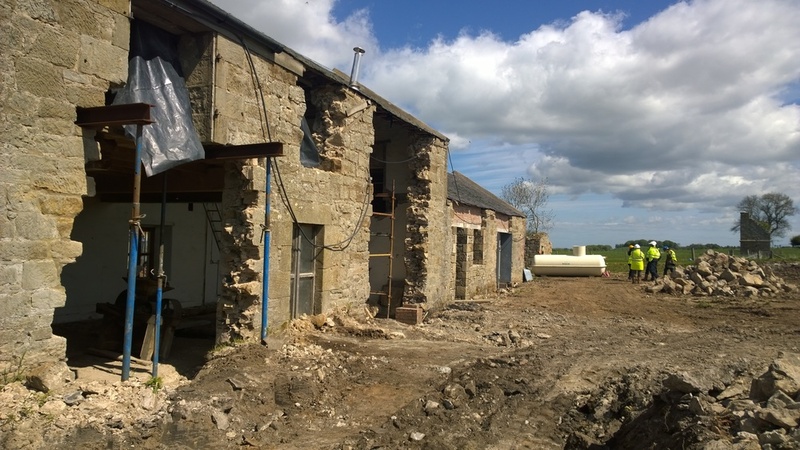 Some exciting first images of work starting on site for WT Architecture's conversion of this Granary in Midlothian. 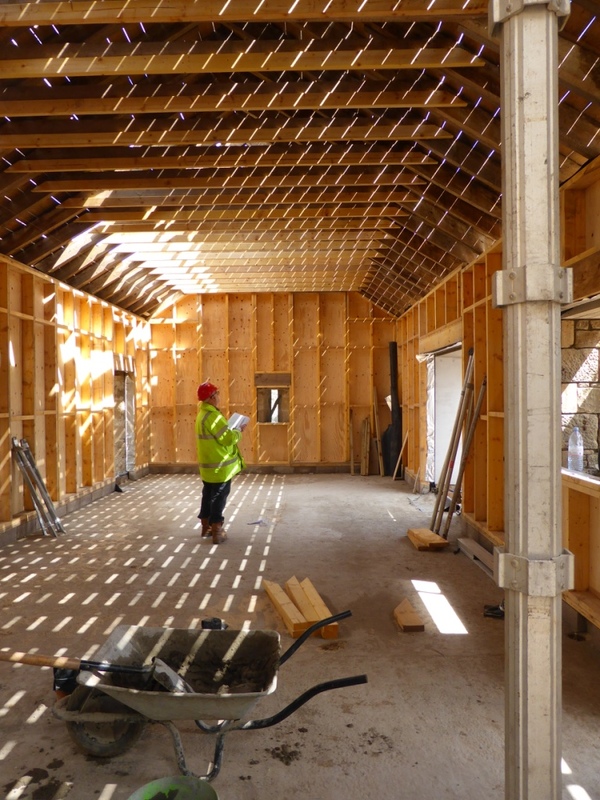 Great to see the light flooding into the existing structure and the views opening out from within. Stay tuned for more updates as the project progresses.